Primary Assistant Teacher Admit CardEdit Edit date and time Download 2018 under the project PEDP-3 by Directorate of Primary Education (DPE) has been started. Directorate of Primary Education (DPE) published the job circular for the post of Primary Assistant Teacher on July 2018. Online application system started on 18 September, 2018 and end on 18 October, 2018. Now it is time for Primary Assistant Teacher Admit Card Download by dpe.telepalk.com.bd. The applicants have to download Primary Assistant Teacher Admit Card through online. 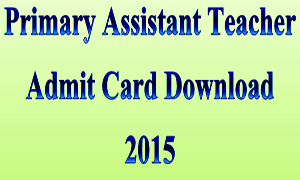 Download Primary Asst Teacher Admit Card by signing in. You need the User ID and Password to get the admit card. User ID and Password was sent to the applicants through SMS. Stay with http://resultgovbd.com/ to get the latest news about Primary Assistant Teacher Exam 2018. Comment on our facebook page Medical Knowledge Forever to get Primary Assistant Teacher Exam 2018. This entry was posted in DPE, Notice and tagged Download Primary Asst Teacher Admit Card, dpe.gov.bd, Dpe.gov.bd Admit Card Download 2013, dpe.telepalk.com.bd., Primary Assistant Teacher Admit Card Download, Primary Assistant Teacher Admit Card Download 2013, Primary Assistant Teacher Job Admit Card Download, Primary AT Admit Card Download 2013, Primary Teacher Admit Card Download 2013 by Result Gov BD. Bookmark the permalink. Roll-18118 shylet,moulovibazar. viva result ta ki ? Am I selected or not. plz answer me. when primary assistant teacher Exam held in Noakhali?. amar invalid login dekhai kn bogta parce na ki korbo kew ki bolben .